Seiliedig ar lyfryddiaeth ddetholedig a gyhoeddwyd gan D. Ellis Evans, ‘Grafton Melville Richards (1910–1973)’, Onoma 18 (1974), 619–25. Rwyf wedi gwneud mân gywiriadau a mae ychwanegiadau wedi eu nodi gan *; mae rhai yn eitemau a oedd wedi cyrraedd yn rhy hwyr i’w cynnwys gan Ellis Evans. Mae dau o’r ychwanegiadau yn adolygiadau o weithiau sylweddol o enwau lleoedd – byddai llyfryddiaeth lawn yn cynnwys llawer mwy o adolygiadau. ‘Yr yn traethiadol yn y Pedair Cainc’, Bulletin of the Board of Celtic Studies [BBCS] 7, 96–112. ‘Trydydd lleddf unben wyt’, ibid., 269–72. Llawlyfr Hen Wyddeleg (Cardiff, University of Wales Press), ix + 136 pp. ‘dylyaf it: dligim duit’, BBCS 7, 364–6. ‘Yn nrws’, BBCS 8, 20. ‘The auguries of Esdras concerning the character of the year’, BBCS 8, 125–7. ‘The relative sentence in the Four Branches of the Mabinogi’, Études celtiques 1, 272–80. ‘Buchedd Mair o’r Aifft’, Études celtiques 2, 45–9. ‘Ystoria Bilatus’, BBCS 9, 42–9. Cystrawen y Frawddeg Gymraeg (Cardiff, University of Wales Press), x + 205 pp. ‘Nodiadau cystrawennol’, BBCS 9, 133–44. ‘Buchedd Fargred’, BBCS 9, 324–34; BBCS 10, 53–9. ‘Y Frawddeg gymysg’, BBCS 10, 105–16. ‘Rhai geiriau llafar o Lanelli’, BBCS 12, 23–5. (with J.O. Bartley) ‘The Welsh language in English plays’, The Welsh Review 6, 39–50. Breudwyt Ronabwy (Cardiff, University of Wales Press), xlv + 91 pp. ‘Syntactical notes, I. The negativing of the verb noun in Welsh’, Études celtiques 4, 369–78. ‘Gildas a’r Brytaniaid’, BBCS 13, 64–5. ‘Casgliad o Halsingod’, National Library of Wales Journal 6, 108. ‘Cadwy fab Geraint; Brain Owain ab Urien; ffleithychu’, BBCS 13, 136–8. ‘Syntactical notes, II. The subject of the verb noun in Welsh’, Études celtiques 5, 51–81. ‘Standard and dialect in Welsh’, Archivum Linguisticum 2, 46–55. ‘Y mis du’, BBCS 13, 204–5. ‘Moreb; Gororion’, BBCS 14, 39–41. 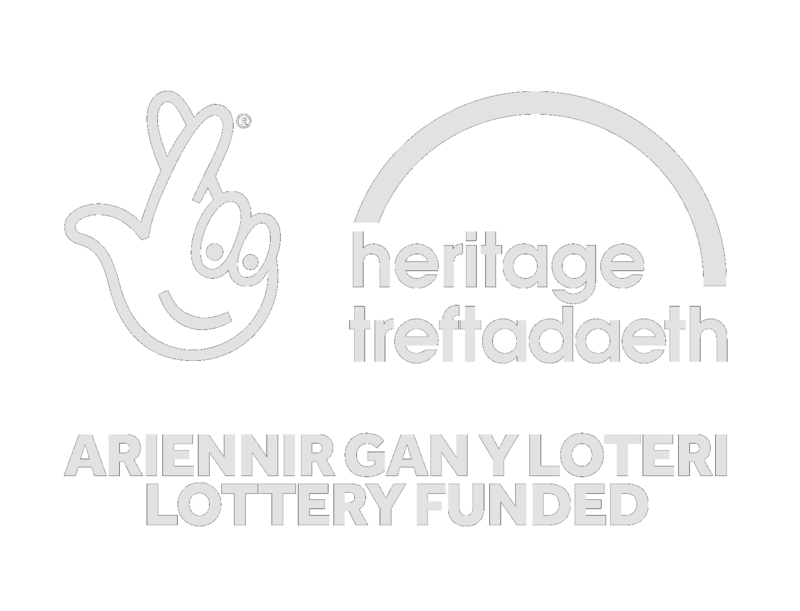 ‘Hafod 16’, BBCS 14, 186–90. ‘Syntactical notes, II. The subject of the verb noun in Welsh (cont. )’, Études celtiques 5, 293–313. ‘Cymraeg Enllibus’, Y Genhinen 2, 79–82. (with Glanmor Williams) Llyfr Gweddi Cyffredin, 1567 (Cardiff, University of Wales Press), xlvii + xli + 291 pp. ‘Place-names of North Wales’, A Scientific Survey of Merseyside (Liverpool, British Association), 242–50. Articles on Breton and Cornish literature in Cassell’s Encyclopaedia of Literature. The Laws of Hywel Dda (The Book of Blegywryd) (Liverpool, University Press), 149 pp. ‘Barclodiad y Gawres: the derivation and meaning of the name’, in T.G.E. Powell and Glyn Daniel, Barclodiad y Gawres (Liverpool, University Press), 76–8. ‘The study of place-names’, Montgomeryshire Collections 54, 95–102. Cyfreithiau Hywel Dda (Cardiff, University of Wales Press), 151 pp. ‘Place-names study in Wales’, Proc. 8th International Congress of Linguists (Oslo 1957), 431–2 [summary]. ‘Gre, greon, greor, grewys mewn enwau lleoedd’, BBCS 18, 177–80. ‘Allt y Badi’, ibid., 180. ‘The Irish settlements in South-West Wales: a topographical approach’, Journ. Royal Society of Antiquaries of Ireland 90, 133–62. ‘Sgeibion (Llanynys)’, Trans. Denbighshire Hist. Soc. 9, 187–8. ‘Pwll y Grawys’, BBCS 18, 378. ‘Gwrinydd, Gorfynydd and Llyswyrny’, ibid., 383–6. ‘Place-names in Montgomeryshire’, London Montgomeryshire Soc. Handbook for 1958–1961. ‘The River Wheelock: Cheshire Wheelock = Welsh Chwilog’, Trans. Hist. Soc. of Lancashire and Cheshire 111, 199–200. ‘Hafod and hafoty in Welsh place-names: a semantic study’, Montgomeryshire Collections 56, 13–20. ‘Meifod, lluest, cynaeafdy and hendre in Welsh place-names’, ibid., 177 –87. * review of E. Davies, Flintshire Place-Names (1959), Archaeologia Cambrensis 109, 183–5. ‘The fictitious Kingdom of Teyrnllwg’, Trans. of the Lancashire and Cheshire Antiquarian Soc. 69, 136–7. ‘Rhai enwau lleoedd (Chwil, Chwiler, Chwilog &c.; Nanter, Nantyr; Mafon, Bodafon, Myfoniog; Olmarch, Olgre; Cefnydfa; Ystalyfera)’, BBCS 19, 91–101. ‘Gan taw pwy, ta’ pwy; Peibio’, ibid., 112–13. ‘The Welsh Eisteddfod’, The University of Leeds Review 7, 326–34. Contributions to A Bibliography of the History of Wales (Cardiff, University of Wales Press). ‘Norse place-names in Wales’, in Proc. [1st] International Congress of Celtic Studies (Dublin 1959) (Dublin, Dublin Institute for Advanced Studies), 51–60. ‘Prydydd y Moch’, Trans. Denbighshire Hist. Soc. 11, 110–11. ‘Welsh meid(i)r, moydir, Irish bóthar “lane, road”’, Lochlann 2, 128–34. ‘Brynbyrddau’, Trans. Caernarvonshire Hist. Soc. 23, 131–2. ‘Rhys Cain’, National Library of Wales Journal 12, 399. 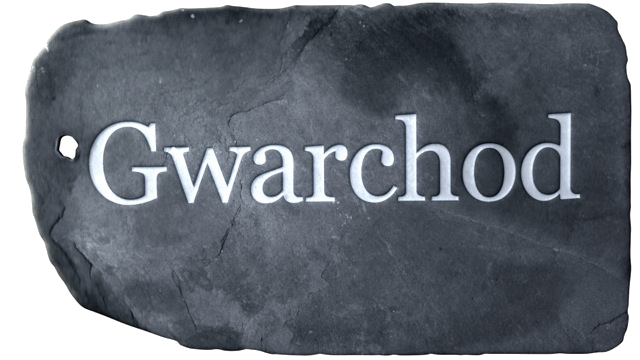 ‘Llywelyn Goch ap Meurig Hen a Chae Gwrgenau’, ibid., 300–1. ‘Local government in Cardiganshire, medieval and modern’, Ceredigion 4, 272–82. ‘Welsh rhyd “ford” in place-names’, Études celtiques 10, 210–37. ‘Some medieval township and hamlet names’, BBCS 20, 49–58. ‘Llanwynnell; Pontllan-fraith; -ddg > -rg-; cnydfa’, BBCS 20, 122–5. ‘English miners in Minera in the 14th century’, Trans. Denbighshire Hist. Soc. 12,169. ‘Tonfannau’, Journ. Merionethshire Hist. Soc. 4, 274–6. ‘Dindaethwy a Phorthaethwy’, yn J.E. Caerwyn Williams (gol. ), Llên a Llafar Môn (Llangefni, Cyngor Gwlad Môn), 56–8. ‘Nennius’s “Regio Guunnessi”’, Trans. Caernarvonshire Hist. Soc. 24, 21–7. ‘Mab Tudur Aled. Raff ap Robert’, National Library of Wales Journal 13, 196–7. ‘Ystumhenllyn’, Archaeologia Cambrensis 112, 190–1. ‘The significance of is and uwch in Welsh commote and cantref names’, Welsh History Review 2, 9–18. ‘Is Coed Uwch Hirwern in 1651; Gwynionydd Is Cerdin in 1651’, Ceredigion 4, 374–99. ‘Betws Ithel; Cae Mab Ynyr; Cefn y March Brethyn; Tanreg; atgoed, edwydd’, BBCS 20, 388–92. ‘Dr. David Powel, Rhiwabon’, National Library of Wales Journal 13, 397–8. ‘Place-names in Wales’, Country Quest Christmas Book, 55–61. ‘The sites of some medieval gallows’, Archaeologia Cambrensis 113, 159–65. ‘Allt Cunedda; Carn Ymenyn (Mynachlog-Ddu); some medieval Welsh fiscal terms’, ibid., 175–8. ‘Tywynnell; Myfoniog; Manafon; Emlyn, Emlych’, BBCS 21, 40–2. (with Glanmor Williams) Llyfr Gweddi Gyffredin 1567 (Cardiff, Univ. of Wales Press), xli + 286 + 168 pp. ‘Two Welsh “dawn” poems’, in Arthur T. Hatto (ed. ), EOS, An Enquiry into the Theme of Lovers’ Meetings and Partings at Dawn in Poetry (The Hague, Mouton), 568–74. ‘Gwŷr, gwragedd a gwehelyth’, Trans. Hon. Soc. Cymmrodorion 1965, 27–45. ‘The distribution of some Welsh place-names’ [clogwyn], Lochlann 3, 404–14. Contributions to the Readers Digest Atlas of the British Isles. ‘Some unpublished source-material for the history of the Lordship of Denbigh’, Trans. Denbighshire Hist. Soc. 14, 197–208. ‘The gallows at Montgomery; Arthur’s Gate at Montgomery’, Archaeologia Cambrensis 114, 181–2. ‘Early Welsh territorial suffixes’, Journ. Royal Soc. of Antiquaries of Ireland 95, 205–12. ‘Gwynionydd Is Cerdin in 1564’, Ceredigion 5, 229–33. ‘The names of Welsh lakes’, in D.P. Blok (ed. ), Proc. VIIIth International Gongress of Onomastic Sciences (The Hague – Paris, Mouton), 409–12. ‘The Lordship of Ceri in 1598’, Montgomeryshire Collections 58 (1964 ), 168–74. ‘The Lordship of Dyffryn Clwyd in 1465’, Trans. Denbighshire Hist. Soc. 15, 15–54. ‘Poachers on Talacre Warren in the eighteenth century’, Flintshire Hist. Soc. Publications 22, 69–70. ‘Yr awdur a’i gyhoedd yn y ddeunawfed ganrif’, Journ. Welsh Bibliographical Soc. 10, 13–26. ‘Mechyll, Mechell, Llanfechell’, Archaeologia Cambrensis 115, 168–70. ‘Sir Ifor Williams’, ibid., 171–3. ‘Welsh sarn “road, causeway” in place-names’, Études celtiques 11, 383–408. ‘march “great, large” in Welsh place-names’, in Wolfgang Meid (ed. ), Beiträge zur Indogermanistik und Keltologie Julius Pokorny … gewidmet (Innsbruck), 257–63. ‘ffridd / ffrith as a Welsh place-name’, Studia Celtica 2, 29–90. ‘Cornist, Benllech’, Archaeologia Cambrensis 116, 203–4. (gol.) Meddai Syr Ifor (Caernarfon, Llyfrfa’r M.C. ), 135 pp. ‘Tri enw: Cae Meta (Llanddeiniolen), Tyddyn Bisla (Llanrug), Maes Incla (Llanbeblig)’, Trans. Caernarvonshire Hist. Soc. 29, 152–4. * ‘Ecclesiastical and secular in medieval Welsh settlement’, Studia Celtica 3, 9–18. Welsh Administrative and Territorial Units: medieval and modern (Cardiff, University of Wales Press), xviii + 324 pp. ‘Welsh place- and personal-names connected with the woollen industry”, in J. Geraint Jenkins, The Welsh Woollen Industry (Cardiff, National Museum of Wales), 351–72. ‘Nynnid’, Archaeologia Cambrensis 118, 144–5. ‘Moelyci’, Trans. Caernarvonshire Hist. Soc. 30, 87–8. ‘The distribution of some Welsh place-names (ton, twyn, tyle)’, Lochlann 4, 179–225. ‘The supernatural in Welsh place-names’, in Geraint Jenkins (gol. ), Studies in Folk Life. Essays in honour of Iorwerth C. Peate (London, Routledge), 303–13. ‘Arthurian onomastics’, Trans. of the Honourable Soc. of Cymmrodorion, Session 1969, Part II, 250–64. * review of G. O. Pierce, Place-Names of Dinas Powys Hundred (1968), Archaeologia Cambrensis 118, 161–2. (with W.F.H. Nicolaisen and Margaret Gelling) The Names of Towns and Cities in Britain (London, B.T. Batsford), 215 pp. ‘The population of the Welsh border’, Trans. of the Honourable Society of Cymmrodorion, Session 1970, Part I, 77–100. ‘Bachysylw; Esgair Foeleirin; Mahathan’, BBCS 23, 323–5. ‘Corwas; Porth Dafarch’, Trans. Anglesey Antiquarian Soc. and Field Club 1969–70, 254–6. ‘Places and persons of the early Welsh Church’, The Welsh History Review 5, 333–49 . ‘Welsh dryll as a place-name element’, in Herbert Pilch and Joachim Thorow (eds), Indo-Celtica. Gedächtnisschrift für Alf Sommerfelt (Munich, Max Hueber), 150–94, 219. ‘Some Welsh place-names containing elements which are found in Continental Celtic’, Études celtiques 13, 364–410. ‘Astudio enwau lleoedd’, Barn 130 (Awst 1973), 439–40; Barn 131 (Medi 1973), 490. ‘The “Lichfield” Gospels (Book of “Saint Chad”)’, National Library of Wales Journal 18, 135–46. ‘Welsh influence on some English place-names in North East Wales’, in Folke Sandgren (ed. ), Otium et Negotium. Studies in Onomatology and Library Science presented to Olof von Feilitzen (Stockholm, 1973), 216–20. ‘Onomastica (I). Cilfodan; Cromlech; Gloddaith; Golosged; Llwyn Lleiaf; Maesglase; Glasfre’, BBCS 25, 268–73. ‘Ffynonellau’, Trans. Anglesey Antiquarian Soc. and Field Club 1973, 152–69. * ‘Hafoty (Llansadwrn)’, ibid., 39–53. * ‘Esgobaeth Brân (Llanddyfnan)’, ibid., 188. * ‘Regal’, Trans. Caernarvonshire Hist. Soc. 34, 161–2. ‘Place names’, in Elis Jenkins (ed. ), Neath and District. A Symposium (Neath, Elis Jenkins), 328–34. ‘Onomastica (II). Caerfallwch; Glesych; Gwrelych; Licswm (Lixwm); Machynys; Pwll Gloddaith; Rheola (Hirolau); Rhy-; Ysbydwr’, BBCS 25, 417–24. ‘Onomastica (III). Rhesolfen; Y Rugos’, BBCS 26, 7–9. ‘Enwau lleoedd’, yn Geraint Bowen (gol. ), Atlas Meirionnydd (Bala, Gwasg y Sir), 200–7. * ‘Some fishing terms in Welsh place-names’, Folk Life 12, 9–19. * ‘O gwmpas Bangor’, gol. Bedwyr Lewis Jones, Trans. Caernarvonshire Hist. Soc. 52–3, 7–29. * Enwau Tir a Gwlad, gol. Bedwyr Lewis Jones (Caernarfon, Gwasg Gwynedd), 292 pp.